In his eyes, the championship was an overwhelming success and down the road people will remember only the drama of the final few holes — not the talk of the bumpy greens and lack of quality spectator viewing areas. 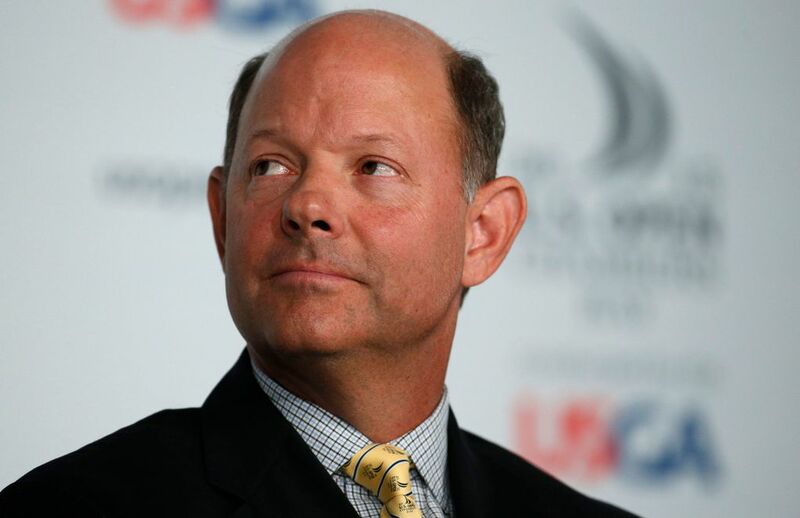 UNIVERSITY PLACE — Mike Davis, the executive director of the USGA, said Sunday night as the sun was finally setting on the 115th U.S. Open at Chambers Bay that, as always, there will be a careful post-assessment of this championship. In his eyes, the championship was an overwhelming success and, down the road, people will remember only the drama of the final few holes — not the talk of the bumpy greens and lack of quality spectator viewing areas. He has heard all the complaints, he knows all the issues, and there will be plenty of questions asked about what must be done to bring this championship back to Western Washington. “Let’s look at how the golf course performed, because at the end of it all that trumps everything,” Davis said. And what he will be looking at is not just a golf course for 156 of the world’s best players, but anybody who ever wants to play this public facility. “It’s going to be what’s best for Chambers Bay on a day-to-day basis,” he said. Despite complaints from fans and some players, Pierce County executive Pat McCarthy said the feedback she received was overwhelmingly positive, and she hopes it helps set the stage for a return U.S. Open visit. The county executive, a golf fan but not a golfer, was particularly thrilled with how the area looked on worldwide television during the exceptionally sunny and dry June week. One person who enjoyed that showcase was Jay Townsend, who was covering the event for BBC Radio. He and his wife came out a week early for their first visit to the Northwest. One golfer who wasn’t negative afterward was Thomas Aiken, a South African. McCarthy repeated her assessment that this championship has triggered $140 million to $150 million in economic activity in the Puget Sound area. In a sense, she said, that has already started. The 2008 selection of the young course to host this first U.S. Open in the Northwest piqued golfers’ curiosity. After running in the red for its first few years, the course has been in the black since, and last year took in a record $6.9 million, even though play on the course was restricted due to preparation for the Open. 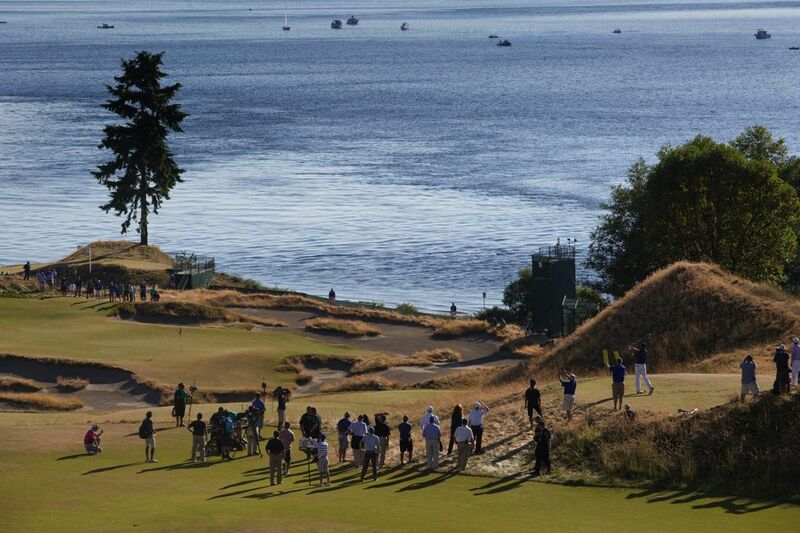 Townsend, for one, had been eager to see Chambers Bay for the first time. 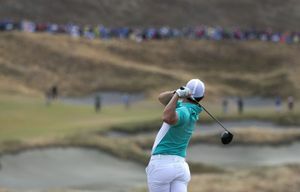 “I was probably more excited to come here and see Chambers Bay than I have any golf course in the last 20 years,” said Townsend, who says he loves the course and its links feel. McCarthy said the event is likely to be a break-even proposition for Pierce County government, receiving about $4 million from the USGA and spending roughly the same amount on preparations. With the tournament in the books, McCarthy said she will talk with municipalities around the area and neighboring counties about how the event impacted them and which entities would be willing to make a stronger commitment to a return bid. The other host municipality, the City of University of Place, was thrilled with the outcome. “We were hoping they would keep mentioning University Place rather than Seattle, and they’ve pretty much done that,” said Chris Nye, a city council member. McCarthy also will confer with USGA officials about what they learned. Jeff Ellison, the executive director of the Pacific Northwest Section of the PGA who conducts professional tournaments in this area, was standing near the golf shop Sunday afternoon when he put some of the negative talk in perspective. “If you look at the scale of this production, and what this is,” he said, looking down at the hundreds of tents and thousands of people, “there are only a few people in the world who are experts at this big of tournament. And every year they learn, and every year they make it better. If all goes well for everyone involved, we might just be doing that in another 10 years. Times staff reporter Jack Broom contributed to this report.